Do I need to be an experienced photographer to participate? No. The trip is intentionally structured to accommodate travelers with varying levels of photography experience. Beginners are welcome. The only requirement is that you bring a camera with adjustable settings (a DSLR would be ideal, but anything more than a point-and-shoot camera only capable of automatic mode will do). I am an experienced photographer; will beginners “cramp my style”? They certainly won’t. The group is small enough that you will have plenty of one-on-one time with our instructor, David Wells. Moreover, prior to departure we’ll send out a questionnaire asking everyone about their prior photography experience and what they are looking to get out of the trip. This will factor into the final stages of planning and we’ll make sure to attend to everyone’s needs. You can read the full list of inclusions here. As you will note, they include more than your standard tour. For instance, aside from our deluxe accommodations, we make sure to cover all tips to local staff, saving you a hassle that would otherwise come up regularly in India. You’ll have not only an award-winning photography instructor, but also a tour leader/photographer (Temu Nana from OSE) and a superb local guide. We send you comprehensive Pre-Departure Information, your own personalized Moleskine notebook, and we take care of details other tour operators do not such as complimentary water bottles on the bus, and so on... We believe this thoughtful and comprehensive approach allows you to truly focus on what you came for: to discover this amazing country and become an even better photographer while doing so. Have you run this specific tour before and, if so, what feedback do you have from past travelers? We have run our India photography tour before and the reviews have been excellent. 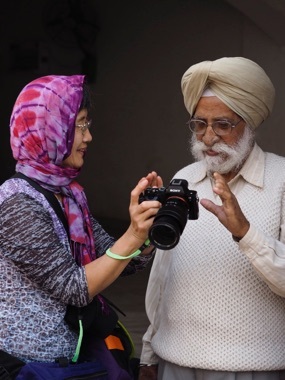 David, our professional photographer, has spent decades traveling in and around India, either for personal reasons or on assignment, and is very familiar with both the sites and cultural norms of the region. Temu Nana, our Tour Manager, has led trips on five continents and will be accompanying the group throughout, along with our ocal guide, Rohith, whose feedback has also been stellar. Past travelers have said that the India photography workshop was not only the best photo workshop they’ve attended, but one of the best trips they’ve ever taken, hands down. - Using a camera on manual mode: working with Aperture, Shutter Speed, ISO, etc. Is this a tour? A photography workshop? What is it? Well, it is more a hybrid of the two--a combined tour & photo workshop. We have taken what would on it’s own be an amazing tour and carefully structured it with photography in mind. Dedicated workshop time, best times of day & sufficient time for photography in each place, tour content in each location, etc., have all been thoughtfully taken into consideration. Both the instructor David Wells and OSE’s Temu Nana, a photographer himself, will be on hand throughout the tour, and our excellent local Indian guide Rohith will also join us for all sightseeing. What photography topics will be covered? Do I need a visa to go to India? Is is safe there? Yes, you do need a visa, and most Americans are eligible to receive a visa on arrival (VOA) in India. Please see a full list of countries eligible for the VOA here. Despite incidents with primarily solo female travelers in the last few years, India is safe. 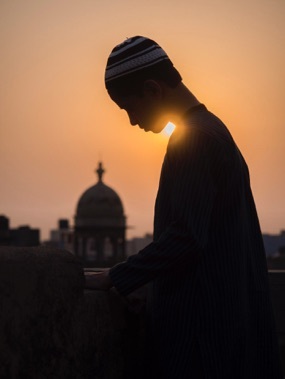 There is some religious and political unrest in border territories with Pakistan and on the island of Sri Lanka, but our workshop will not be anywhere close to those regions. Furthermore, at nearly all times (unless you choose otherwise), you will be moving with the group, as well as David, Temu, and our local guide, Rohith. While India remains a complex country with unique issues to work through, it is undeniably the most stable in the region. What’s the weather like in India on the tour dates? February is a great month to travel in India weather-wise. Temperature-wise, it is very comfortable. While summers can be oppressively hot, averages highs throughout our itinerary range from the mid 60‘s to mid 70‘s and lows from the mid 40’s to mid 50’s (F). We’re also steering clear of the monsoon, so precipitation is rare and light (on the range of .3 to 1 inch the whole month), and we’re past usually foggy January. This all sounds great! How can I join? First, we recommend that you call Open Sky at 800.978.8890 or email us at info@openskyexpeditions.com to ensure there is still space on the trip. If there is, you can then download a registration form here. A deposit of $900 per person will be required to save your spot.